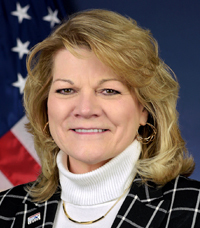 The Women In Trucking Association (WIT) has confirmed that deputy administrator Cathy Gautreaux of the Federal Motor Carrier Safety Administration (FMCSA) will discuss the safety mission, how that mission is carried out, and the agency’s top priorities remaining in 2018 and into 2019. The conference takes place at the Embassy Suites by Hilton Dallas Frisco Hotel Convention Center Nov. 12-14. “It is truly exciting to see so many women and men engaged in the issue of gender diversity,” said Ellen Voie, WIT president and CEO. This session will be one of more than 60 educational sessions will be featured on critical transportation issues and trends, along with perspectives of the positive impact women can have on the industry. The conference will provide content in four key areas, including operations, leadership, recruiting and talent management, and sales and marketing. The conference also will feature various peer-to-peer networking opportunities and facilitated discussions to open dialogue about the importance gender diversity in trucking. The conference will feature opening keynote Lois Barth, human development expert, motivational speaker and coach. She will address how women need to let go of their inner critic. It will also feature Joann Lublin, a Pulitzer-prize winner and new editor for The Wall Street Journal, who will share tips gleaned from interviews with 52 elite businesswomen. She’ll then apply those lessons learned with nominees of the 2018 WIT Influential Woman in Trucking award. The three finalists are Angela Eliacostas, founder and CEO of AGT Global Logistics; Nozuko Mayeza, managing director of Tulsawiz Logistics; and Brooke Willey, vice president – human resources with CRST International.